Two weeks ago, elephant journal’s Bill Schwartz broke the story of the parting of ways of Bardor Tulku Rinpoche and Karma Triyana Rinpoche, the Tibetan Buddhist center and Western seat or home of the Karmapa that Bardor Tulku Rinpoche had helped to build with his own hands. At that time I explained that while Bill had solid sources for the sad story, it was a complex story, and Bill’s post was intended to be an “op-ed”—opinion piece—not a piece of journalism. Bill, backed up by myself, appealed to those in the know to contribute more information and context. I received the below note followed by another take on the situation. Hopefully this will go a long way toward clarifying any confusion about events. ~ Ed. The attached article is a response to Bill Schwartz’s August 20, 2010 blog titled “Karma Triyana Dharmachakra bans Bardor Tulku Rinpoche?” I spoke with contacts at KTD and in the Karmapa’s Office of Administration who provided a much different view of what happened with the resignation of Bardor Tulku Rinpoche. Bill’s blog piece elides critical points about the Karmapa’s role in the Woodstock situation. 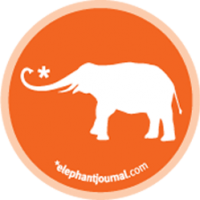 I follow the Elephant Journal and know that you make a genuine effort to balance passion and resources. I also know that in this particular case, you expressed some misgivings about the lack of more journalistic research, and that Bill himself expressed concerns about his ability to offer much more than his personal take on the situation. Below, I made an effort to document everything in endnotes and sourced most of the article to publicly available information. I am also happy to answer questions you or the community may have [in the comments section below]. A Closer Look at the Changing of the Guard in Woodstock. Bill Schwartz in his August 20th blog entitled “Karma Triyana Dharmachakra [KTD] bans Bardor Tulku Rinpoche?” provides a view of recent events at KTD. Having been involved in Karma Kagyu Buddhism for many years, I recently spoke with Khenpo Karthar Rinpoche and a representative of the Karmapa about the situation at KTD. Here is my unofficial take. In 1980, a year before he passed away, on his third and last visit to America, His Holiness the 16th Karmapa purchased a parcel of land on the top of Mead’s Mountain in Woodstock, New York. Over the next 30 years, KTD—a monastery and surrounding monastic complex—would be built there for the Karmapas, heads of the Karma Kagyu lineage. The 17th Karmapa, His Holiness Ogyen Trinley Dorje, was finally allowed to visit KTD in 2008, ushering in a new era of a Karmapa’s spiritual presence in America. To fully support the activity of this young and dynamic 17th Karmapa, KTD would have to change. At the time of the visit, the leadership of KTD was vested in a Board of Trustees that had been appointed by the 16th Karmapa in the late ‘70s. The three active members included Tenzin Chonyi, President and the most visible administrator. However, equally involved in all decisions were Bardor Tulku Rinpoche and Khenpo Karthar Rinpoche, who for over 30 years had been partners in the stewardship of KTD. Moreover, Bardor Tulku Rinpoche’s influence had increasingly grown as Khenpo Karthar Rinpoche, the third Trustee, now 80 years old, dedicated himself primarily to presiding over the three year retreat facility owned by the Monastery in Delhi, New York, 90 minutes away from Woodstock. Shortly after the visit, dissatisfaction with the capability of the current KTD leadership to meet the organizational challenges of the KTD’s expanding activity came quickly to a boil. In October 2008, Bardor Rinpoche offered his resignation. In response to the opportunity for administrative reconfiguration, the 17th Karmapa personally and through his Office of Administration took practical actions in accord with current American systems of organizational governance. In November, 2008, a meeting was held at KTD, involving key KTD and KTC staff, members of affiliate centers and other valued supporters. Important issues were aired, and His Holiness spoke to the conference participants by telephone. The Karmapa promised to send a representative to KTD to thoroughly review the administrative situation. In May of 2009, Karma Chungyalpa, Deputy General Secretary in His Holiness Karmapa’s Office of Administration, flew from India to KTD. He conducted a thorough multi-week review of the administration of KTD, interviewing the staff, surveying the workings of the programs, inspecting the books and becoming familiar with operations. He provided this detailed information to His Holiness and made recommendations. New appointments do not by themselves bring change. Yet, the restructuring created substantial opportunities for a significant shift in the management of KTD activities, in a manner aimed to provide a smooth transition to the new structure. Why did Bardor Rinpoche offer his resignation? The August 20th blog by Bill Schwartz focuses on events involving lawnmowers and disputed staffing. These features of the situation are of much less significance when looking at the bigger picture, which can be drawn from the statements and actions of the Karmapa, the Board of Trustees and Bardor Tulku Rinpoche himself. Bardor Tulku Rinpoche seems to have come to a point in his life where he felt that his responsibilities to the teachings of his incarnation lineage called him away from his years of selfless service to His Holiness Karmapa. Anguish of his students at such a parting is understandable. Tibetan Buddhism is still new to us, and as the Buddhist teachings take root in America they will no doubt transform into shapes yet unrealized. It is critical for the authentic transmission that the lineage holders of the Karma Kagyu remain free to teach the Karma Kagyu teachings, the holders of the Barom Kagyu free to teach their own lineage, and the students remain free to study what they wish. Freedom of religion is for everyone. In this context, events are cast in a new light. His Holiness Karmapa met personally with Bardor Tulku Rinpoche and Khenpo Karthar Rinpoche, where Bardor Tulku Rinpoche personally submitted his resignation letter to His Holiness. His Holiness Karmapa further took the actions outlined above, restructuring the administration. In recent remarks at the last day of the North American Monlam, held at KTD, presided over by Thrangu Rinpoche, His Holiness addressed KTD via video-conference, naming in particular “Thrangu Rinpoche, Khenpo Karthar Rinpoche and KTD President, Tenzin Chonyi” and pointedly omitting Bardor Tulku Rinpoche, even though he was in attendance at the Monlam. [x] This statement was understood at KTD as His Holiness’s confirmation of Bardor Rinpoche’s resignation. His Holiness has handled these changes as a principled parting of the ways. Those in the Kagyu sangha troubled by this will find their footing again, and all the lineages of the Kagyu will continue to benefit from the Karmapa’s activity. [i] The new Board signed the letter to Bardor Rinpoche published at the Kunzang website, at http://www.kunzang.org/assets/btr/btr_biography/ktd_to_btr.pdf. The new executive director is noted at http://www.kagyu.org/ktd/contacts.php. [ii] According to the center’s home page, the Kunzang Palchen Ling is now seeking an additional $900,000 to engage in further development to obtain a Certificate of Occupancy. http://www.kunzang.org/. [iii] For Bardor Tulku’s own explanations of these teachings, see the transcript at the Kunzang Palchen Ling blog, at http://kunzang.org/kplblog/2010/03/23/the-lineage-and-treasures-of-terchen-barway-dorje-and-the-lineage-of-barom-kagyu/ and http://kunzang.org/kplblog/2010/06/27/the-barom-kagyu-continued/. [iv] For more details about Kagyu lineages, see Gene Smith, Among Tibetan Texts at pp. 39-46 (Wisdom 2001) and Kagyu Office website at http://kagyuoffice.org/kagyulineage.html. The other two of the four main Kagyu branches are the Phaktru Kagyu and the Tsalpa Kagyu. According to Smith, of these, the Karma Kagyu has been a significantly more active lineage. [v] See Kagyu Office website page referenced in note iv. See also the explanation of the meaning of “Kagyu” and the short histories of the “Golden Rosary” of the Karmapas and lineage heirs students in the transmission lineage starting at http://www.kagyuoffice.org/kagyulineage.goldenrosary.html. [vi] http://kunzang.org/kplblog/2010/06/27/the-barom-kagyu-continued/. A terma lineage involves teachings that are deliberately concealed and then rediscovered, sometimes centuries later, by enlightened masters. Tulku Thondup Rinpoche, Hidden Teachings of Tibet , (Wisdom 1986, 1997). The teachings may be unearthed written texts, visionary transmissions, and other modes; terma transmissions are distinguished from the “mouth to ear” historical transmission from teacher to student. Terma lineages are far more prevalent among the Nyingma order, but Kagyu masters have incorporated some Nyingma terma lineages into their traditions as well. Thondup at 167. [viii] Letters to the Karmapa and his General Secretary are posted at Kunzang Palchen Ling’s website, at http://www.kunzang.org/assets/btr/btr_biography/letter-to-hhk-eng.pdf and http://www.kunzang.org/assets/btr/btr_biography/letter-to-gs-eng.pdf. [ix] See the letter of the Board to Bardor Tulku Rinpoche, referenced in note i above. Alex Garden stumbled upon Rumtek and met the 16th Karmapa while travelling around India during the late ‘70s. That led to a lifelong connection with the Karmapa’s Buddhist lineage. Though her passion is the history of central Eurasia, she decided early on to make a living through a law career. She enjoys trekking, reading and Buddhist yoga. Her work in NYC keeps her occupied most of the time, but she remains available to the lineage when it seems she can be of service. Любит ли он меня? Будем ли мы сообща? Надолго ли наши отношения? Это действительно очень для меня важно! Спасибо. к стате сериаллы и фильмы я качаю с http://www.2nt.ru/go/serial.php причем бесплато. 🙂 можете пользоватся. Лучше чем локалка.Если канечно ссылка не нужна можете и удалить.